Developing fruits of a plant growing in the Botanical Building in Balboa Park, San Diego, California, USA. Plant growing in the United States Botanic Garden, Washington, DC, USA. 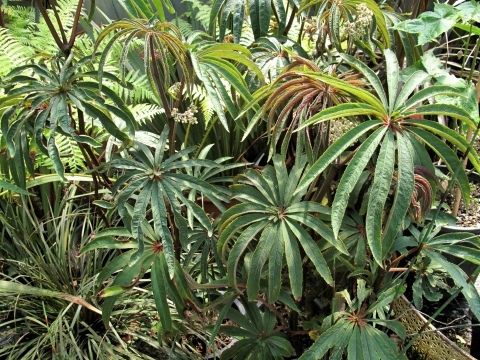 Palm-leaf begonia is a perennial plant growing about 1.5 metres tall.